Juni Dahr is a leading Norwegian actress who has been a member of the repertory company of the National Theater of Bergen for 12 years. Classically trained at the State Academy of Performing Arts in Oslo, she has played many of the great classics – from Shakspeare to Ibsen and Chekov – as well as modern experimental drama. In 1980/81 Juni was awarded a State scholarship to Poland to study at Grotowski’s Laboratory Theater. In 1986 she studied film and theater at New York University and at the Actors Studio in New York with Shelly Winters. 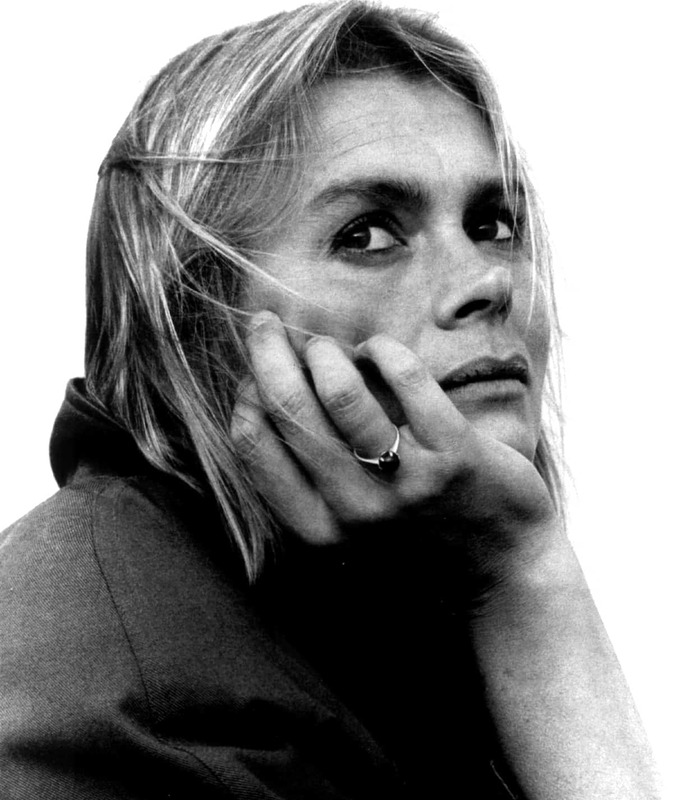 In 1989 she received a Fullbright fellowship centered on the project «Female Legends» and formed her own company, Visions, in order to explore the lives of legendary female characters and create independent theater and film productions. Joan of Arc – Vision through Fire opened in 1988 in Los Angeles. The performance was highly acclaimed and has toured the USA, Europe, Russia, the Nordic countries. In 1992 the Norwegian Broadcasting Corporation produced a television version. Joan of Arc is now performed on request in mediaeval locations. Visjoner Teater/Visions Theatre was founded i 1988 by Juni Dahr. Through her company Juni has created, produced and toured her performances. Ibsen Women – Put an Eagle in a Cage opened in New York and Los Angeles in 1990 and has toured the USA, Europe, India, Pakistan, Bangladesh, South America, Russia, China and all the Nordic countries. 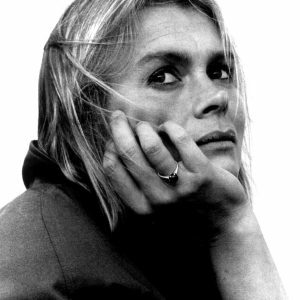 In 1991 Juni received the Los Angeles Drama Critics’ Award for her performance in Ibsen Women, and in 1993 she won the San Francisco Critics’ Award for her interpretation of Ellida Wangel in Ibsen’s The Lady from the Sea. In 1994 Juni was commissioned to create an adaptation of Sigrid Undset’s mediaeval novel Kristin Lavransdatter for the Winter Olympics in Norway. Kristin Lavransdatter has toured in Norway and the USA and also been performed in Rome; in 1995 it was adapted for video. The company´s work is often based on classical texts staged at site- specific arenas with a direct and expressive performance style, combined with traditional acting methods. The last years the company has been approaching Ibsen’s texts according to this concept: Visjoner Teater’s production of ”A Doll’s House” is the first part of an Ibsen trilogy -“Ibsen in close ups” where Henrik Ibsen´s drama is moved out of the traditional theatre space into realistic settings. “A Doll’s House” (2006) is performed in an authentic apartment, at the home of Nora and Torvald Helmer. The second part is “Hedda Gabler” (2011) staged at a small house in a forest near the town centre of Oslo, the supposed home for the newly wed Hedda and her husband. Both these performances are still touring. Through these theatre experiments both actors and public are challenged to a new meeting with Henrik Ibsen’s familiar text as it is taken off the stage and placed in unusual surroundings. How do we now perceive “Hedda Gabler”, finding ourselves at home with the family, eyewitnesses to the disaster? To develop a new arena and performance space, gives us an important artistic premise for our work. The audience is close to the action and gives the performers a more intimate, subtle and authentic way of expression. Site specific-spaces such as an empty house, an apartment, a barn, a medieval church, a ruin or even an oil-platform are some of the spaces we have explored through the years. The company invite in actors and other artistic collaborators according to the purpose of the production. In “Ibsen Women” the audience meet Juni Dahr and a musician on stage in a presentation of six female characters from Ibsen’s plays. Both “A Doll’s House” and “Hedda Gabler” consist of a team of five actors, and are staged in front of a small audience of about 40 people. Visjoner Teater is a non-profit organization depending on financial support from the Norwegian Arts Council and other funding’s for our creative projects. Photo by Knut Evensen. Click to download.